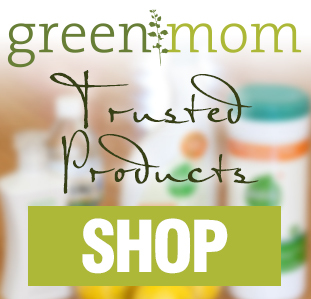 We talk a lot here on Green Mom about gardening and growing our own food. But many of us don’t have access to a backyard or even a patio or balcony. While growing plants in a tiny apartment might seem impossible, there are plenty of fresh fruits and vegetables that can thrive on a sunny windowsill — no backyard required. An herb gardenis one of the easiest and most rewarding projects that will be totally doable in a tiny space. 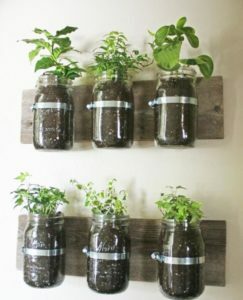 You don’t even need a windowsill — just a bright strip of wall can support a mason jar herb garden. 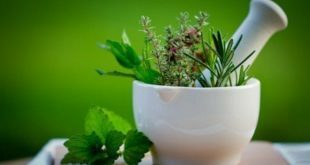 Basil, rosemary, mint, thyme, oregano, cilantro and parsley are all great options for foodies who want the convenience of fresh herbs. 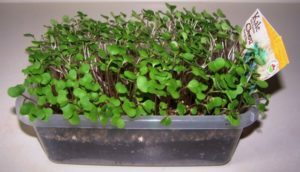 Microgreens: Versatile and packed with vitamins. Easy to care for. 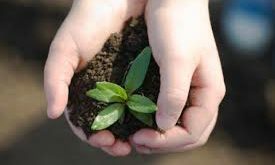 Grow from seed in a shallow container. Try celery, basil, chia, mustard greens, fennel, arugula, radish or watercress. Salad Greens: Harvest fresh greens for a homegrown salad. Pinch off leaves as needed, which promotes new growth. It will start to taste bitter when the growing cycle is complete, so replant as you harvest to ensure a continuous supply. Try bibb lettuce, cos lettuce, loose leaf, snap peas, chives, spinach, arugula, mustard greens or radish. Celery: Cut off the entire base of a celery bunch a couple of inches from the bottom. Eat the celery stalks. Place the base in a shallow dish of water. Replace the water every couple of days. Cut off individual stalks as needed. Lemon grass: Look for bunches that still have a few roots intact. Strip away the outer leaves and place in a glass of water to sprout. Root Vegetables: Potatoes and sweet potatoes can be sprouted. If you have a potato that’s been around a bit too long, you’ll notice it’s begun to grow sprouts from its “eyes.” Cut the sprouts out, leaving some potato around them, and plant in soil. Taro root and celery root can be sprouted from their bases. Romaine Lettuce: Place romaine ends in a dish of shallow water. Replace the water every couple of days. Cut off individual leaves as needed. 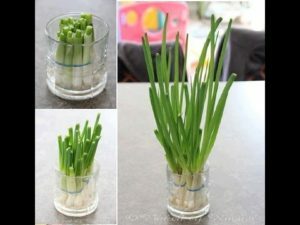 Leeks: Again, use the same method as the onions: place the root end in a shallow bowl of water. Replace the water every couple of days. Fennel: Sometimes we want only a little bit of fennel for a hint of flavor or for a garnish. Place a bulb in a dish of water. Replace the water every couple of days, and cut off bits as needed. Garlic Sprouts: Don’t just cut out garlic sprouts and throw them away: they’re edible if you grow them out a bit. They have a milder, less abrasive flavor than fresh garlic and make a great garnish. Put the sprouts in a small jar with enough water to cover the bottom of the jar. Within a couple of days, they’ll grow roots, and the sprouts will grow up to a few inches tall. When they’re about three-inches tall, you can trim off about a third of the shoot. Green Onion: Don’t throw away the roots at the ends! Place them upright in a glass of water and they’ll start growing again. Replace the water every couple of days. In a couple weeks you’ll have a whole new onion to eat. 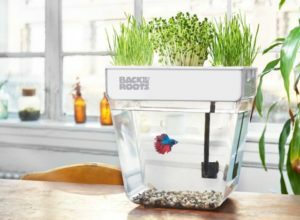 The Water Gardenfeatures a 3-gallon fish tank with room for small fish to live in, with a leafy crop of microgreens and wheatgrass growing over the water. The fish’s waste fertilizes the plants and the plants’ roots filter the water. It’s closed-loop aquaponicsymbiosis at its finest. 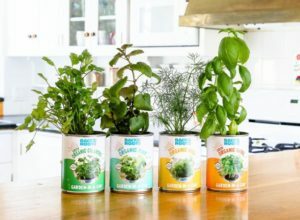 Or try the Garden-in-a-Canherb kit, which includes a unique biochar technology that lets you grow directly from the can without messy drainage holes. No chemicals and no transplanting necessary. Set comes with basil, cilantro, dill and mint. Live in a dark apartment with little sunlight? Never fear: you can still grow your own food deep inside your urban cave. How about delicious organic oyster mushroomsin just ten days? 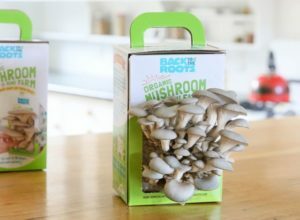 Back to the Roots’ Mushroom Kitcomes with everything you need to grow right out of the box — just add water! Fungi Perfectialso has a wide variety of certified organic indoor mushroom growing kits that come with illustrated instructions and are guaranteed to produce. Alfalfa: Contains valuable trace minerals including manganese, which is especially important to health and digestion and is a vital component of human insulin. Also a rich source of amino acids and vitamins A, B, C, E and K.
Sesame Seeds: Contain all nine essential amino acids needed to sustain human life, a whopping 20% protein content, and a higher concentration of calcium than milk. 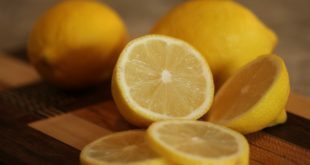 Also high in lecithin, unsaturated fats, Vitamin E and Vitamin B complex, and other live nutrients. Bottom line: no matter how tiny or dark your living space is, with a little creativity and determination, you always can grow food at home! 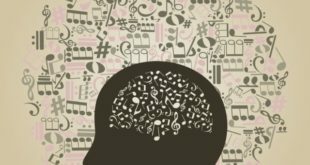 Next Should You Give Your Child a Smartphone?